HomeFeaturedREVIEW – CLUB JETSTAR – IS IT WORTH IT? REVIEW – CLUB JETSTAR – IS IT WORTH IT? Club Jetstar! Not sponsored. No affiliate Links. Not that sponsored posts have any bearing on my opinion! Late last year I joined Club Jetstar, it was part of their opening promotion with big savings on flights being the card that drew me in. The idea of more travel on the horizon also had a lot to do with things. Constantly moving around the country due to hubby’s work over the years (our 24th move last year), has often meant our holiday leave is used for relocating. When we do get time off and we’re not in the process of packing up the house to move, we’ve been busy exploring our new surrounds. Not a bad way to do things. Now that we are permanently based in Perth and our girls (17, 18 & 19) can be left to their own devices at home, it has opened the door for lots more travel further afield. FINALLY! THE SCORE OF THE CENTURY or is it? As part of the Club Jetstar introductory offer, I purchased a couple of heavily discounted flights during their first promotion. Perth to Gold Coast for $45 each way. Perth to Adelaide again $45 each way. Then, with a full itinerary given we also had Singapore flights with Jetstar before I joined the club as well as a trip to Malaysia and Sydney with another airline, I let things (mainly my Club Jetstar emails) slide. There’s only so much travel you can fit into an already busy schedule. The thing is when you’re saving so much money on flights, it means more travel spending money or if you can manage to travel on a budget, more money for more travel. It was another Jetstar promotion of fly return for free that peaked my interest again. I already had two trips under my belt and we had such a fabulous time in Singapore. We were certainly keen to head back. The other thing with travel… the more you do, the more you want to do. Right? With my Club Jetstar membership, I managed to nab not one but TWO return flights from Perth to Singapore for $238 all up! As with all cheap flights, there are certain risk factors, so I was hesitant to book accommodation straight away. I’ve had flights cancelled or changed with other budget airlines in the past and lost out on accommodation as a result. Thankfully, the budget flights and some frugal living, meant I could wear extra accommodation and the hassle factor at the time but it’s made me wary going forward. 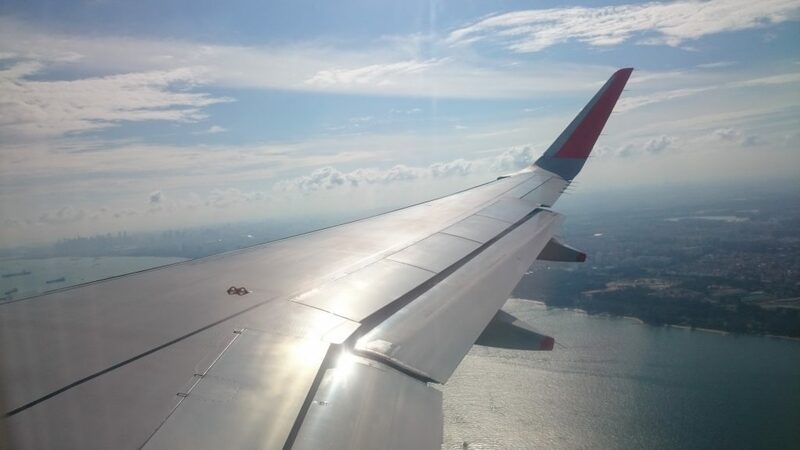 When I received a FLIGHT SCHEDULE CHANGE email from Jetstar letting me know they were no longer flying direct to Singapore a month or so after nabbing the cheap flights, my first thought was… here we go again! The fact is, Jetstar with or without the Club factor, have been extremely accommodating. The only real hassle, with the whole schedule change as far as I’m concerned, are the constant emails letting me know that the flight schedules have been changed, even though I’ve already confirmed twice that I’m happy to proceed with their suggested fix. Since you made your booking, we have changed our flight schedule. Please be advised that your flight details have changed. We understand it can be frustrating when plans change, and we apologise for any inconvenience caused. While we try to avoid any changes to our timetable, in this instance it was unavoidable. Please review your flight details below. Flight JQ6071 & JQ6077 and JQ6072 & JQ6078 are services operated by Qantas so please proceed to the Qantas check in counter when you arrive at the airport. Your flights will include 30 kilograms of baggage allowance, meals and inflight entertainment at no additional cost. That’s right… our budget, no extras, Perth to Singapore return flights at $119 per person are now with Qantas and include 30 kilos of baggage allowance, meals and inflight entertainment at no extra cost! I’ve had Robbie Williams’ ‘Let Meeee… Entertain You’ on constant replay in my head since I accepted the offer. So much so, that I’m half expecting him to be the inflight entertainment. I’ll be mildly disappointed if he isn’t (LOL). The other great news… rather than exhausting ourselves getting to Singapore with an overnight flight, we now have a completely acceptable mid-morning flight and will arrive at our hotel just in time for a normal check-in, unlike the original flight which had us arriving at 4am. Which isn’t such a bad thing if you know where the cheerfully cheap and open all hours best place to eat in Singapore is. CLUB JETSTAR – SHOULD YOU, OR SHOULDN’T YOU? Early access to discounted flights with slightly cheaper rates on limited flights. You just need to remember to turn email notifications on and set them as priority, so they don’t end up in spam. Discounted rates for extras, such as baggage and insurance. Take a friend? I did manage to snap tickets at the same price for hubby under my membership but I think that was more the style of promotion than anything else. I’m keen to book flights for hubby and myself to Tasmania soon, so I will let you know. Just waiting on the right sale. There are only limited promotions from Perth to Tassie. At least with Club Jetstar, I’m in with a fighting chance to nab them first. Which reminds me, I must set my Jetstar emails to priority! From experience, across all airlines, the cheapest flights tend to be overnight ones. Not a fun way to fly. There are a few exceptions, if you are quick enough. Having early access to the sales helps which is a big plus in my books, especially as we are based in Perth with few offers on the table. You can pay via POLi, Jetstar voucher, Jetstar Gift Card, Jetstar MasterCard or Jetstar Premium MasterCard on the Jetstar.com website and save yourself booking fees which range between $32 to $42 per passenger per flight. The airline stacks up in terms of service and flight comfort compared to other budget airlines. Limited changes to your schedule are permitted but charges will apply. Apart from the above with the early access etc. and discounts on the paid extras, in my experience so far, you don’t get any special service. It isn’t like joining Qantas Club or the like. There’s no jumping the queue at check in (unless you pay for it). No VIP, lounge or red carpet treatment when you arrive at the airport, the boarding gate or on the plane. It’s budget flying at best in terms of on board comfort levels and creature comforts. You get what you pay for but I suppose my next trip to Singapore in May, may just change that. Although, I’m not sure a free switch to Qantas with upgrades qualifies? EXTRA FEES: If you don’t pay by one of the approved methods of payment (see above), booking fees of between $32 to $42 extra per passenger, per flight will apply. Which can really add up. You also have to be careful during the booking process to un-check all paid extras, so you’re not hit with charges at check out. Checked baggage is not included in the budget flights. It can be added for a fee (cheaper if you do it when you book) and Club Jetstar members do receive a discount on added extras but still. Added fees at the end, tend to add up. Jetstar (and I believe all airlines) are now adopting strict carry-on baggage limits. This includes size restrictions not just weight. Expect to have ALL your carry-on luggage weighed before boarding and expect delays when people are over and then need to pay excess baggage and/or check their luggage in. If you do require extra luggage add it on when you book your tickets for extra savings. Most Club Jetstar fares are non-refundable and not transferable. Limited changes are permitted but charges will apply. I’m also going to put the online booking system as a negative. I personally found the login button for Club Jetstar members hard to find with no easy way of logging in as a member during the booking process if you go straight from the deals and search flights page but I believe they have now fixed that? I just need to find another cheap flight to tempt me, to test that out! Even with a Club Jetstar discount, the insurance offered when you book, especially for travel overseas, isn’t that great a deal. If you want insurance, you are best to shop around. Same goes for the hotel and rental car offers that pop up when you are booking your flights. My trip to Adelaide and also the Barossa to case the Maggie Beer farm, seems like a long time ago now. I had such a fabulous time on that trip, catching up with a couple of my favourite Adelaide bloggers in the little downtime I had, as well as packing a whole lot in, over a few days. It’s such an easy flight from Perth and Adelaide is a diverse and interesting city to explore. You simply can’t cover enough ground in just a few days. Which makes me think, I really must head back again soon. The cheaper flights from Perth to Adelaide on Jetstar are late afternoon or evening, with the time difference it can get a little confusing with flight times. My flight from Perth had me arriving just after 10 pm in Adelaide. Arriving at that time, or later, limits your choice of transport from the airport. The super affordable $10 airport shuttle stops running at 9pm. Public transport is also limited or non-existent at that time of night. So, some of the savings on your cheap flight can be chewed up with transport costs. Being a flight that was returning to Adelaide with a very quick turn around, they don’t have facilities to restock in Perth. Depending on how full the flight flying in to Perth is and how heavy the passengers went at the onboard menu, if you are seated at the back at the plane, there’s a big chance there won’t be anything left for you to select from the menu, unless you’ve pre-ordered. Although, I noticed someone on the flight over receiving a voucher/refund because their pre-ordered meal wasn’t available. Occasionally, if the plane has been completely depleted of hot food they will make an announcement over the PA at the airport before boarding letting you know to grab take-away if it is still available. A lot of these cheap flights are full, as was the case on both my flights to and from Adelaide. 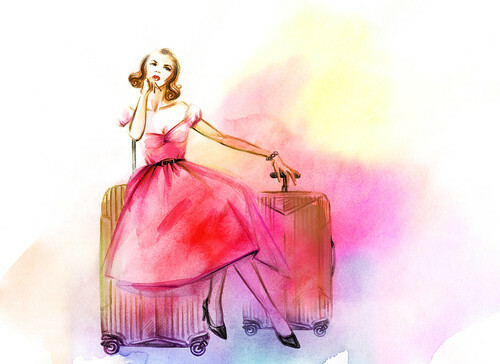 It means that ALL carry-on baggage is subject to strict weight and height restrictions. Although, I believe full or not, this is now commonplace. On both flights, I needed to have both my carry-on bag and handbag weighed then tagged, at the gate, before I was allowed to board. Considering my metal heavy Jessica Bratich Tardis handbag that I usually like to travel with has been known to weigh 21 kilos at times and my normal roll along cabin bag weighs 3 kilos empty, it’s completely changed my approach to packing. I also like to try and keep things on the budget side and to a bare minimum these days, which has been an interesting experience in itself. I’m hoping as the bag weighing at the gate becomes more and more commonplace and common knowledge, it should mean people arrive to the gate earlier and are more organised in terms of carry-on luggage. Which will hopefully put a stop to lengthy delays, which I experienced on both flights due to people needing to reorganise their luggage amongst family and friends travelling together, in order to meet weight restrictions, as well as others needed to check baggage in and pay an excess last minute. Oddly enough, at the gates on the way home, I did notice one man, after six unsuccessful attempts to weigh in, remove his weighty DSLR camera from its bag and pass it to a friend to hold, so they were then able to have the camera bagged weighed, tagged and clearance to board. Only for them to repack the camera in the case while cabin crew weren’t looking. Personally, I’d just prefer to do the right thing and pay for the excess luggage. WHERE TO NEXT WITH CLUB JETSTAR? Gold Coast this weekend for a few days of fun in the sun. I’ll be catching up with a blogging friend and doing a bit of mystery work. I’m aiming to stick to my 7 kilos of carry-on luggage. I’m half contemplating hitting the shops and booking extra luggage for the way home though. At this point, I’m seriously considering starting a 7 kilos in 5 day challenge for all my frequent flying friends. Could you do it? CLUB JETSTAR – IS IT WORTH IT? Club Jetstar has a $49 joining fee, plus an ongoing annual membership fee of AUD $49.99 and they waive the membership fee for the first year?! Why they don’t just call it $50 per year and forget the joining fee is beyond me? As you would expect, both the joining fee and the annual membership fee are non-refundable. I’m in two minds about continuing my membership once it expires after 12 months. If it includes the discount for my hubby or travel partner (when I take one) without them needing to join, I’m almost inclined. If they offered more cheap flights out of Perth to the East Coast or overseas (Perth completely missed out on their recent return flight free to Japan offer), I almost have my bags packed. If they started doing ‘Mystery Flights’, I’ve pretty much packed my new Jessica Bratich gold denim overnight bag (a Christmas gift from hubby) and I’m at the airport ready to board. Is Club Jetstar worth it? Well, you’ve seen my savings so far. What do you think?